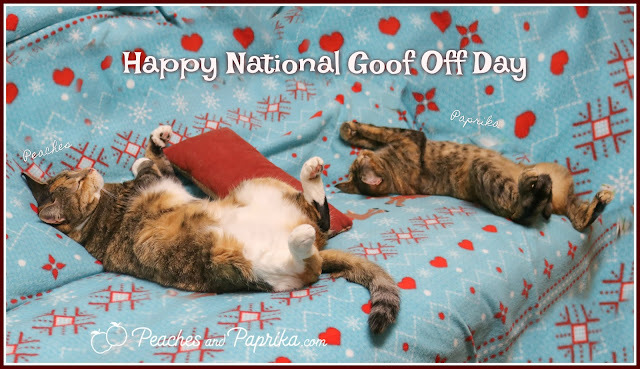 We've been waiting and waiting for this day..National Goof Off Day...so we could show off what we do best! Nothing! 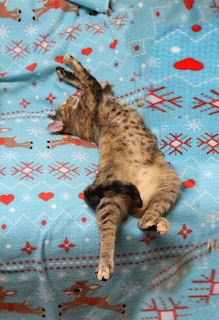 It's a day to lean back, be silly, and enjoy one's, um, "leisure." It was not as easy preparing for this day as you think. We'll have you know we had to do a lot of practicing! As you can see, I, Paprika, have the most creative stretch of all, while Peaches tries to get by with the old "show my white tummy" routine. Which of us could win if there were a goof off contest? Funny girls! 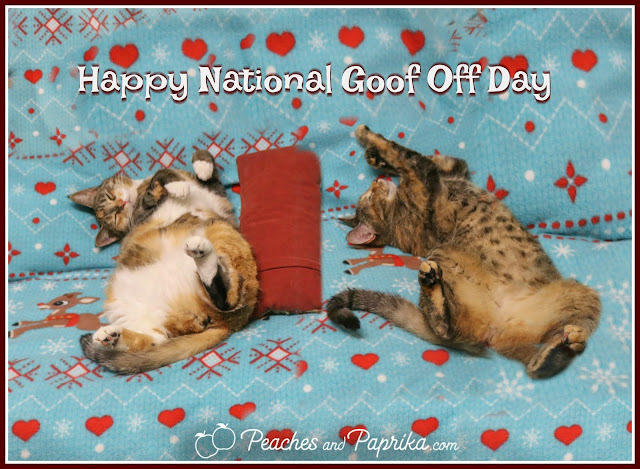 You both celebrate Goof Day perfectly. Dang, I didn't know, I'd best get busy not doing something! I can do goof off very well. Perhaps not as good as the two of you, but I can do it pretty good. I think you're running neck and neck, or should I say tummy to tummy in the goof-off race! 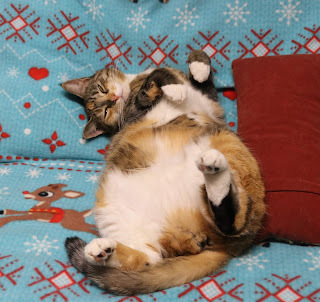 Good job you sweet girls! Okay, this has to be one of our favorite holidays!